CONCEPT: This is the story of Lydia, a talented, creative 11 year-old girl and three leaders of a swarm of friendly creatures called “the Nanooz”. Lydia found them just before boarding a bus heading out for the big city. 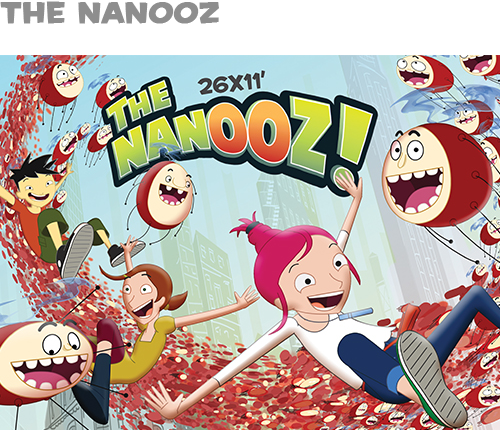 The Nanooz is about fun, adventures and discovering all the ups and downs of having awesome super powers!